This is a solo race. The race will start at 4:00 AM of Sunday, December 8, 2013 in front of the Picnic Grove (near the Development Academy of the Philippines) in Tagaytay City. The Finish Line of the race is at the PETRON Gas Station in Nasugbu, Batangas which is located One Kilometer before the Poblacion. 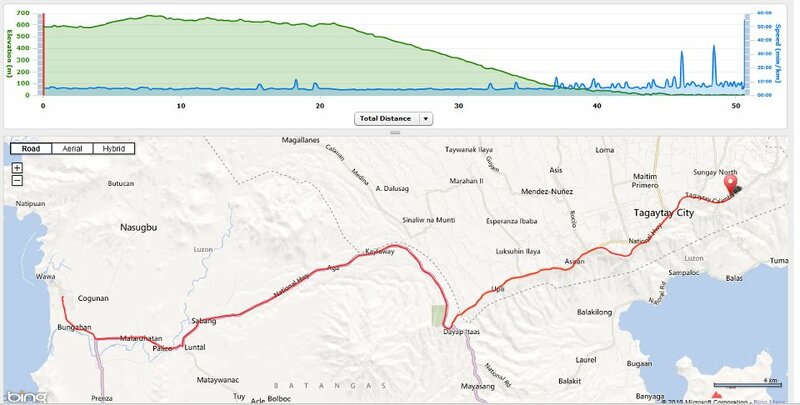 The route of the race will follow the Highway from Tagaytay City to Nasugbu, Batangas. 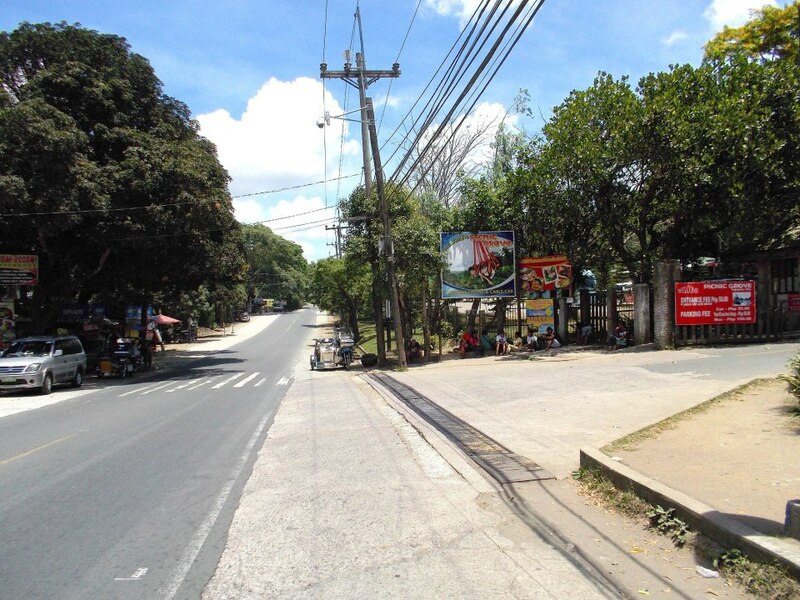 Runners will have to turn LEFT upon reaching the SHELL Gas Station at the intersection of Nasugbu and the Highway that goes to Matabungkay Beach Resort. Runners will have to run at least 500 meters before they turn-around and finally proceed to reach the Finish Line. Runners should bring with them their Registration Deposit Slip (BPI Deposit Slip) and submit it to the Secretariat/BR’s Staff before the start of the said race. Runners should be at the Assembly Area not later than 3:00 AM of December 8, 2013 for processing. All runners/starters shall be accounted at the Starting Area before the race will start. Runners are allowed to have their Support Vehicle & Crew but they are NOT allowed to have Pacers. Due to the absence of any Aid Station along the course, runners may run on “self-support” or “self-contained” making sure that they have an appropriate hydration system with them. Runners shall ALWAYS run or stay on the farthest LEFT side of the road facing the incoming traffic. Runners are advised to be extra vigilant on vehicles approaching on their FRONT and BACK. Vehicles overtaking other vehicles on your back have the tendency to get more space on the Left Lane of the Road. To be safe, run/stay on the farthest side of shoulder of the road. Runners shall ALWAYS run or stay on the farthest LEFT Side of the road on SINGLE FILE. We will be strict on this and we will warn any runner violating this rule before we declare DNF or disqualification in the said race. Support Vehicles must be able to “leap frog” their runners. It means that the Support Vehicle should be waiting for their runner at an appropriate distance ahead of the runner. Runners are NOT allowed to be “shadowed” by their Support Vehicle. Support Vehicle must cruise along the route at the prescribed Speed Limit of the Highway. Support Vehicles are NOT allowed to turn on their Hazard Lights while they are plying on the race course. Support Vehicles must ALWAYS park on the farthest RIGHT SIDE of the road/highway when waiting for their runner/s. Support Vehicles parked on the LEFT SIDE of the road will be a ground for the runner to be Disqualified. Runner are NOT allowed to get inside their Support Vehicle during the duration of the race. Support Crew can provide portable/collapsible chair for the runner outside the support vehicle which can be seen by other passing runners. Runners’ Bib Number should be pinned and displayed in front of the runner’s apparel. Bandits will NOT be allowed to run this event. Runners are highly encouraged to bring and wear with them their respective hydration system/belt during the race. Cut-off time of the event is nine (9) hours. Ipods, MP3s, and “wires” are allowed. However, users should be attentive and vigilant with their surroundings. Finishers within the prescribed cut-off time will receive a PAU Finisher’s Medal, Finisher’s Shirt, and Finisher’s Certificate (to be given later). Official result will be posted at www.baldrunner.com. Cash Prizes shall be awarded to Podium Finishers (Male & Female Categories) to include Trophies to the Top 3 in each of the categories. Cash Prizes shall depend on the number of registered runners. An amount P500.00 from the registration fee of each runner will be pooled as the source of the Cash Awards. All runners must wear the following mandatory equipment/accessory: headlight and reflectorized vest or shirt with reflectorized strips. It will be still dark during the start of the race and these items are needed for the safety of each of the runner. Corporate Logos are NOT allowed to be displayed on support vehicles. However, tarpaulins with the name of the running team/group is allowed to be displayed. Maintain the Integrity of the Race. Runners are “deputized” to report any suspicion of cheating in the race. The RD has the authority to declare disqualification to any runner before, during and after the race. Runners MUST be able to memorize their Race Bib Number. There will be Marshals who will be asking the runner’s bib number in the different Checkpoints along the route. In case of emergency or report of a DNF, a runner/support crew can contact Cell Phone # 0918-965-9895 through call or text message stating the runner’s location and nature of emergency/cause of DNF. Any infraction or violation of these guidelines/rules and regulations shall be dealt with accordingly and the RD shall immediately impose decision on such violation. The RD’s decision is FINAL. It is the responsibility of the runner to inform his/her support crew and driver about the rules and regulations of this event/race. The spirit of ultra running where runners are disciplined, honest, and caring /supportive to one another is highly encouraged. Remember to treat the other runners as your FRIENDS and SUPPORT to Finish the Race. The enemy lies within yourself and it is specifically located “in between your ears”.